Hi Everyone - my name is Gareth. 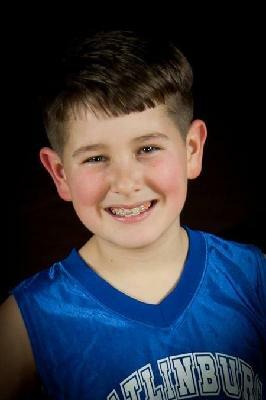 This fund was set up to honor 12 year old Regen Morris of Sevierville, TN. Regen lost his battle with brain cancer on Christmas Day 2013, but through this fund his memory reaches out to help support other families in their time of need. Regen was, and will continue to be a shining light and a hero to so many. It costs $2 million per day to operate St. Jude using the latest technologies and exceptional care. But because of people like us, the price for patient families is $0. Many families come to St. Jude thinking it's like any other hospital. They expect to pay high fees to get their child the best care. They're overwhelmed with gratitude when they learn that St. Jude will work to save their child's life for free using world-class care. Please consider joining this mission to do everything possible to end childhood cancer and other life-threatening diseases by making a donation.